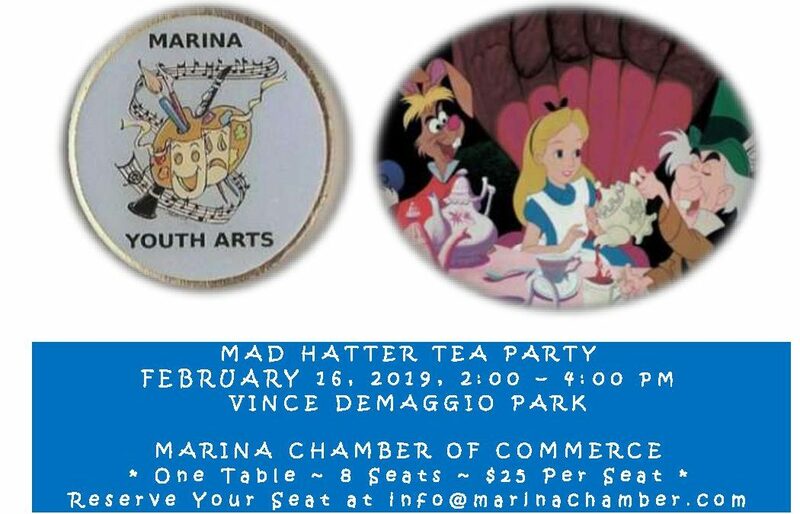 The Marina Chamber of Commerce invites you to sponsor your company by buying a seat for $25 at the Marina Youth Arts Tea Party, Feb. 16, 2pm to 4pm, Vince DeMaggio Park! The Chamber has reserved one table for eight guests. This is a popular annual event supporting our local Marina Youth Arts program! Seats fill up fast–reserve your company seat today! 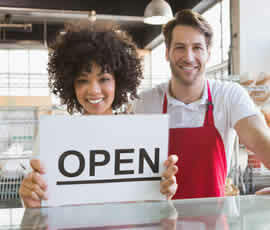 Join our table by emailing your name, company represented and contact information to info@marinachamber.com! The fee is $25 per seat payable to Marina Yout Arts. The first 8 people who register will be assured of a seat at the Marina Chamber of Commerce table! 2019 Mad Hatter’s Tea Party is Marina Youth Arts main annual fundraising event. All funds raised will go to support Marina Youth Arts free after-school art programs. Feb. 16, 2pm to 4pm, at Vince DeMaggio Park. The Marina Chamber of Commerce will set and decorate a designated table and provide a small hostess gift for our table’s guests; each seat is $25 payable to Marina Youth Arts. Tea is served by “prominent gentlemen” in the community and entertainment is provided by the Marina Youth Arts musical theater group from Los Arboles. For more info, email info@marinachamber.com. Let’s support our community and have some FUN!